GREAT LOCATION!!!! 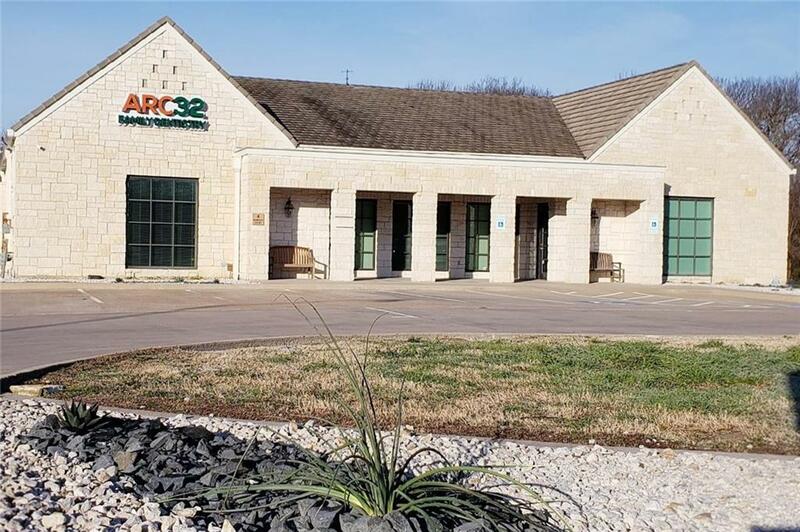 BUSINESS PARK CUL-DE-SAC LOCATION IN PRESTIGIOUS HEATH,TX. 2898 SQ.FT CURRENTLY AVAILABLE FOR LEASE. SUITE#100 IS 1675 SQ.FT AND SUITE#200 IS 1223 SQ.FT. UNITS CAN BE LEASED TOGETHER OR SEPARATELY. ONE OF THE ROOM IS X-RAY SHIELDED FOR MEDICAL USE. PLENTY OF PARKING. NEAR HOSPITAL,MEDICAL AND SCHOOLS. LEASE RATE IS $21 SF.PER YEAR + NNN. Offered by George George of Alive Real Estate, Llc.